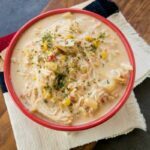 Looking for a crock pot corn chowder soup recipe that your family will love? This is definitely the one! I absolutely love a good soup recipe that is easy to throw together in minutes. The fact that the chicken cooks together with the rest of the ingredients gives it extraordinary flavor. I’m sure your family will love it, too! 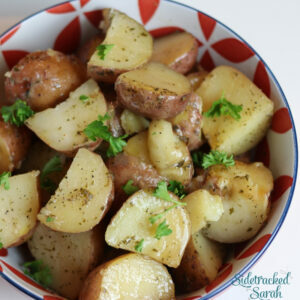 Read on to see the recipe! Start by dicing all of the vegetables that you’re going to be putting in the soup. 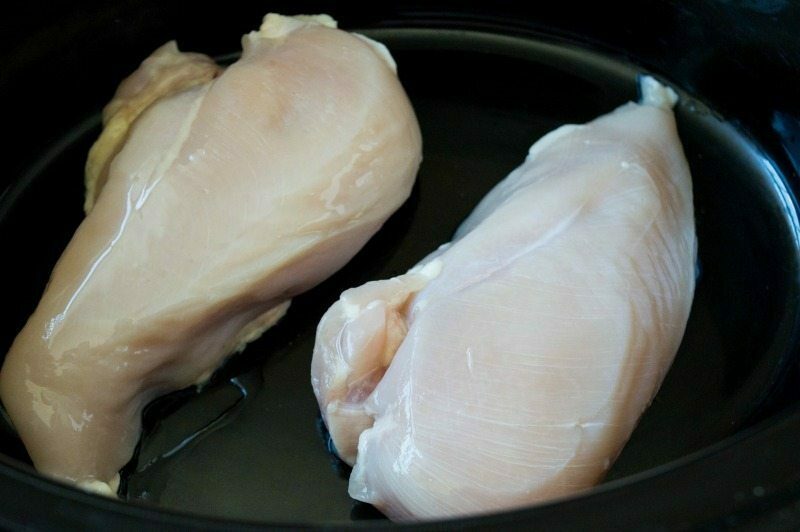 Next, put 2 raw chicken breasts in the bottom of your slow cooker. 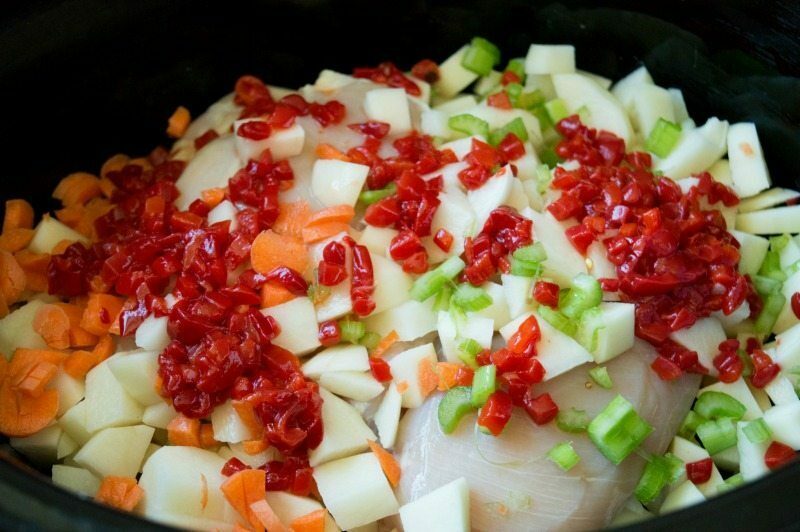 Add the rest of your ingredients on top of the chicken breasts. Stir it all up and cook for 6-8 hours on low or for 4-5 hours on high. Ta-Dah! The amazing finished product. 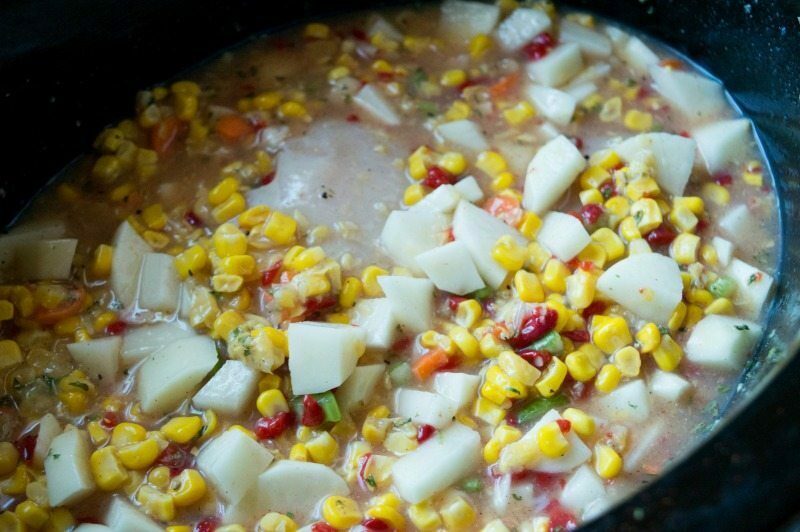 Crock Pot Corn Chowder Soup. It’s a recipe like no other! 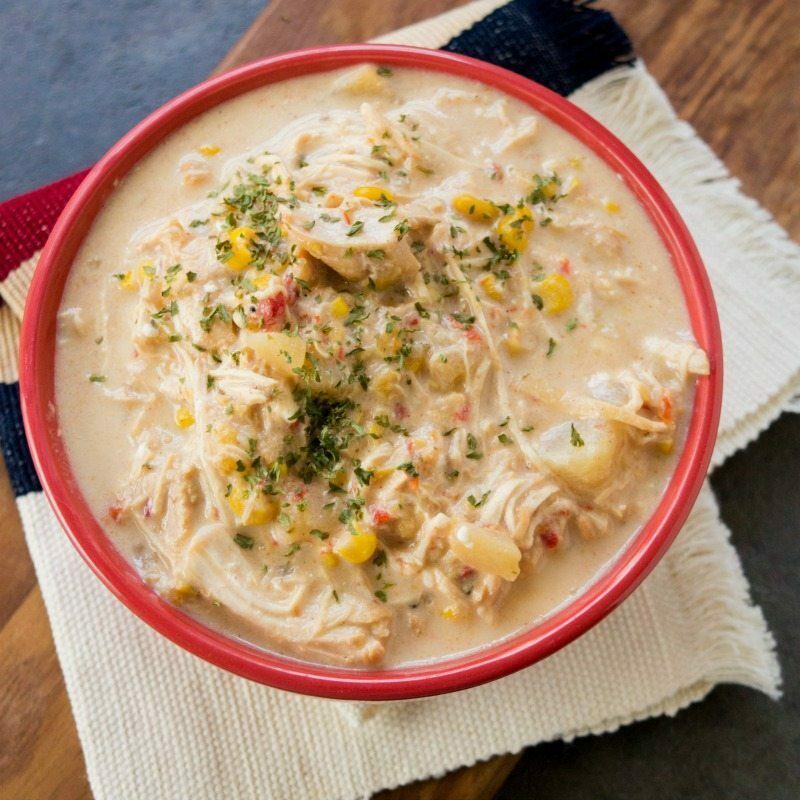 Crock Pot Corn Chowder is a hearty meal with both chicken and corn that your family can enjoy. This creamy soup is sure to become a tradition in your household. 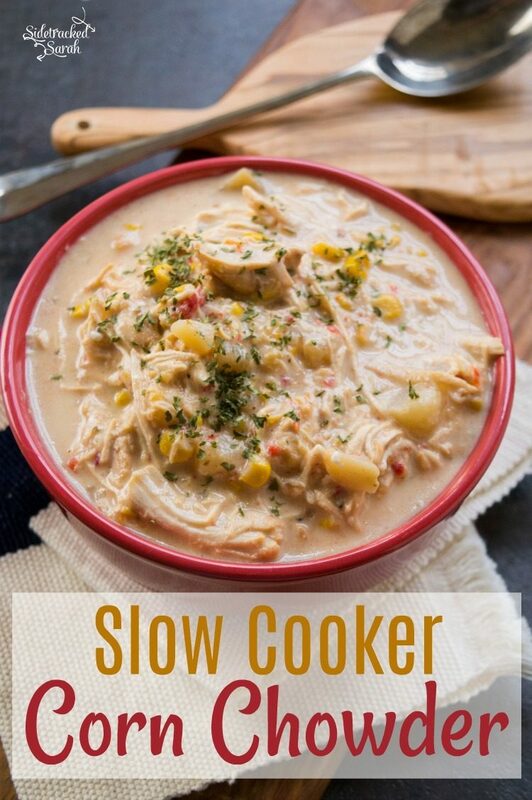 Add all ingredients except for the cream cheese and heavy whipping cream to the slow cooker. During the last twenty minutes, lower the heat to low or warm. Shred the chicken then add the whipping cream and cream cheese. Once the twenty minutes are up, stir well to ensure there are no clumps of cream cheese. Place all ingredients except cream cheese and heavy whipping cream in gallon size freezer safe bag. On cooking day, place bag contents into slow cooker. Shred chicken. Add cream cheese & whipping cream. Cook 20 more minutes or until cream cheese is fully melted.